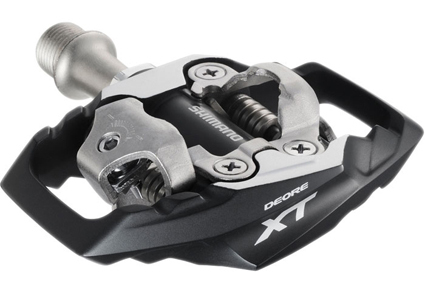 The large integrated cage provides excellent pedal to shoe contact increasing stability and control. Lightweight and high performance using a forged alloy body, chrome-moly axle and a revised cleat interface for increased stability. Beautifully constructed with a strong and slender spindle, using an 8 mm Allen wrench mounting system. Slim oval axle body housing sheds mud efficiently and reduces friction.